Select Black Manzanellos are chosen to be combined with lemon and fennel. The delicate flavour that is shaped pleases the pallet of ever olive lover. Select Black Manzanellos are chosen to be combined with lemon and fennel. The delicate flavour that is shaped pleases the pallet of ever olive lover. 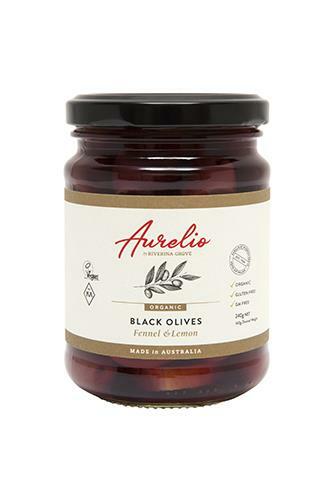 Sprinkle in a salad or on an antipasto platter you can’t go wrong with Aurelio Black Olives in Lemon and fennel.